What would Christmas be without humbug? For everybody who might be feeling a little jaded at this time of year, I give you a Cynical UK ’80s Xmas (no resemblance to anybody living or dead of course). So pull another cracker this Xmas and gawd bless us all Tiny Tim! Continue reading What would Christmas be without humbug? 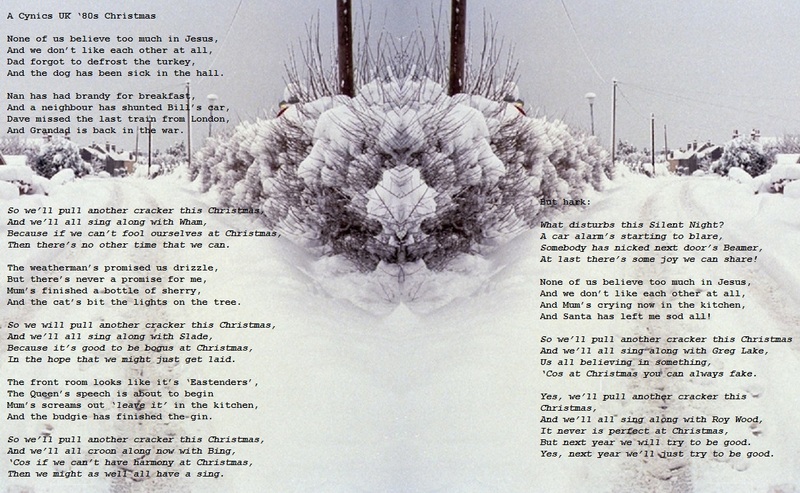 Posted on December 24, 2018 Categories A Writer Gets a Word in, NewsTags Christmas poemLeave a comment on What would Christmas be without humbug? 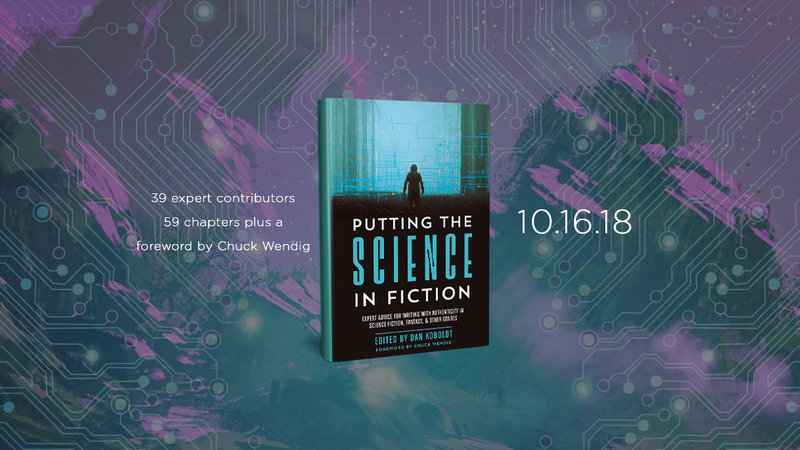 To help celebrate the forthcoming publication of the inspirational ‘Putting the Science in Fiction’ (PSF) ten of the contributors are providing further contributions and story prompts based on their field of expertise. Before I became a comedy writer, playwright and scriptwriter I had another identity – I was Commander Cold and you can read about problems associated with freezing biological material, for preservation and reanimation, in the mighty tome that is ‘Putting the Science in Fiction’. Chemical fixatives – the agents used for immobilising the constituents of cells and tissues for structural studies – act too slowly to get more than an ‘averaged’ view of the biological material. Cellular events, like secretory activities, muscle contraction and nerve transmission, are far too rapid to be caught as they take place. That is why ultra-rapid freezing provides a viable alternative for the initial immobilisation of the parts of cell involved in fast processes. Freezing, particularly using ultra-pure copper cooled by liquid helium, has been successful in capturing even very rapid events like synaptic release. However, helium is not cheap. Other cryogens, like refreezing Freon and liquid nitrogen slush (liquid/solid mix) have their place, but better and more convenient alternatives are always worth looking into. This helps explain why I was jetting high pressure liquid nitrogen at small lump of muscle, but not why I needed the stockings and the thermal insulation against the gas that got me dubbed ‘Commander Cold’. On a general point – a lot of this relates to how science is actually done, rather than how the layperson may think science gets done. If you are considering how a scientist might act in your story, do consider a place for improvisation and thinking outside the box . A company that I had connections to had a good idea. They realised that liquid helium was expensive while liquid nitrogen was cheap. Liquid nitrogen is not actually a good freezing agent though because of something called the Leidenfrost effect (reference book for more information). 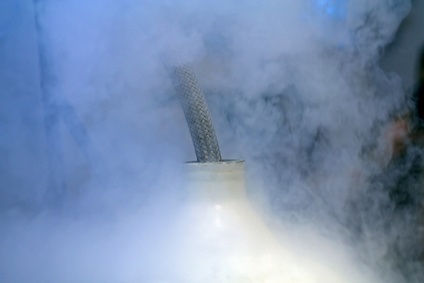 It is concerned with the small range between liquid nitrogen’s melting and boiling points. This means that if you put something warm into liquid nitrogen you get an insulating layer of gas formed that then slows the freezing rate. One way round this, which doctors use for wart removal, is to direct a high-pressure jet of liquid nitrogen at what you want cooled and the insulating gas layer is thereby striped away and fresh liquid exposed to do the cooling. This is exactly the way you might well see somebody (or something) being frozen in a film or on TV and it usually results in them being frozen in seconds or even milliseconds. This would not be the case – it would be an incredibly inefficient and painful way to kill somebody probably involving them going blind first and stumbling around in agony. The chances of recovery would be zero. 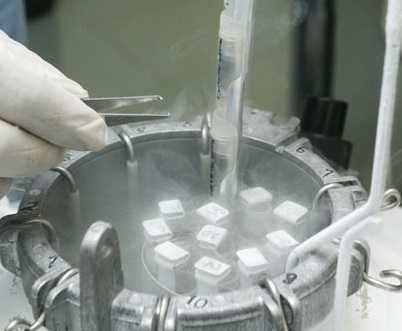 The company’s idea was to ramp up the pressure of the liquid nitrogen considerably and direct the biological tissue requiring freezing into its path. Very small amounts of biological material it has to be emphasised! They needed somebody to evaluate how well the material was freezing. It seemed an interesting idea and it was – in theory. The problem was that the jet that did the freezing tended to spray the biological material all around the room. I tried suitably arranged thermos flasks to catch it, but the jet made finding the sample very difficult. Of course the room filled alarmingly with nitrogen too – and so ‘Commander Cold’ was born. Incidentally this activity was no more dangerous than what would happen upon filling up a Dewar from a large liquid nitrogen storage cylinder. ‘Health and Safety’ first – just because you may not freeze quickly it doesn’t mean there aren’t other ways to kill yourself with coolants, asphyxiation being a prime example. This is where the stockings came in. A single stocking over the whole jetting apparatus turned out to be the best way of catching the sample – in the stocking toe as it happens. They were flexible and actually thawed quite quickly. The freezing rate of the jet freezer was never really good enough though. The idea of jetting liquid nitrogen didn’t leave me though. Thinking about the properties of liquid nitrogen I remembered that you can also produce supercritical liquid nitrogen. 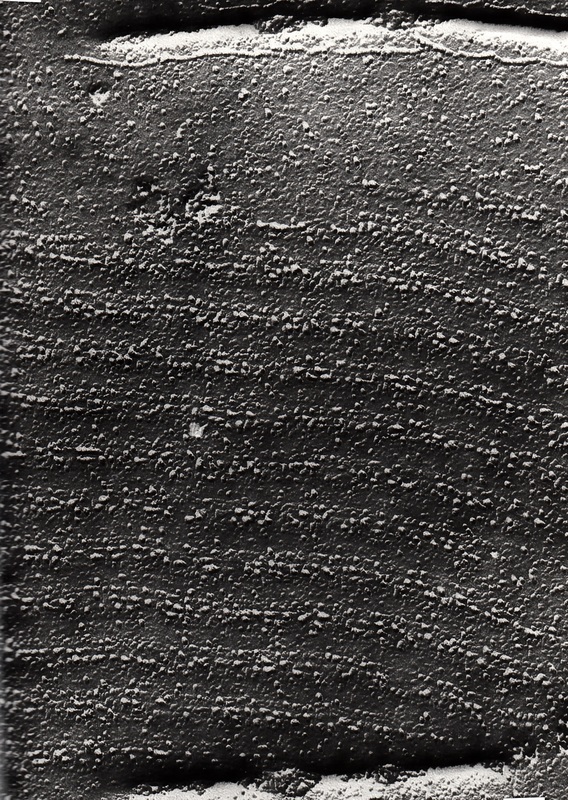 A supercritical fluid is any substance at a temperature and pressure above its critical point, where distinct liquid and gas phases do not exist. In effect, if you can keep maintain the pressure of the liquid nitrogen above its critical point as you jet you will not get the Leidenfrost effect and freezing rates of biological material should be excellent. So I designed the world’s first (probably) Super Critical Liquid Nitrogen Jet Freezer. And very neat it seemed, requiring no stockings at all! I found a company interested in prototyping it for me and all seemed great, until my university’s Business Department stepped in. And so the Super Critical Liquid Nitrogen Jet Freezer never did see the light of day, but Commander Cold lived to freeze another day. And always remember, the world of the very small can be just as exciting as the world of the very small. For example: nobody knows what this is! So have you been having chilly thoughts in your writing? Here are some ideas to get you warmed up! Story Prompt 1: A scientist thinks outside the box (just as I tried) and discovers a totally new method that allows cryogenically frozen plants and animals to be re-animated – until it all goes wrong of course. Story Prompt 2: A company that has made a fortune out of fraudulently freezing the dead discovers that the departed have been mysteriously disappearing. Story Prompt 3: A deep space colony ship has passengers in deep freeze. But is everybody really as inactive as they should be? 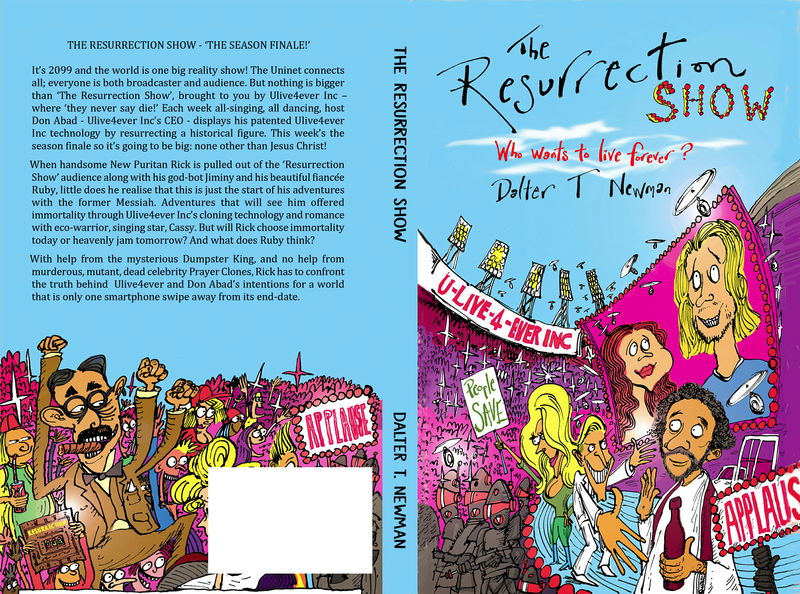 We have had a quite a few questions about the excellent cover for ‘The Resurrection Show’ The talented, award-winning, illustrator Tom Morgan-Jones of Inkymess.com is responsible – and we are a delighted two-hearted Dalter T Newman. We chose Tom because his superb, energetic style of penmanship beautifully complemented the buzzing energy of ‘The Resurrection Show’. You can almost smell the ink drying! 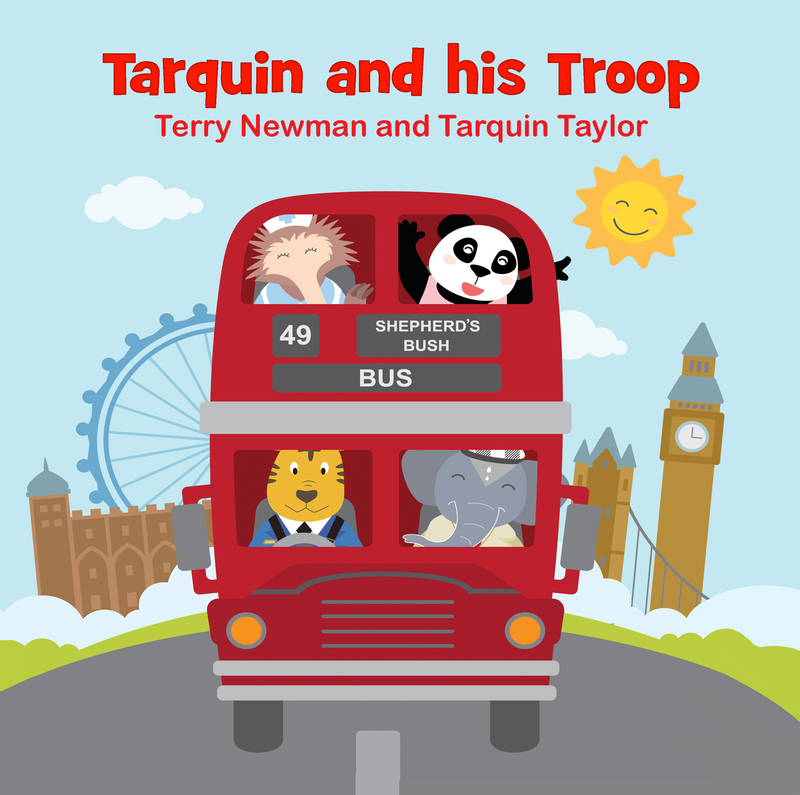 Tom has illustrated numerous books including over 70 for children. 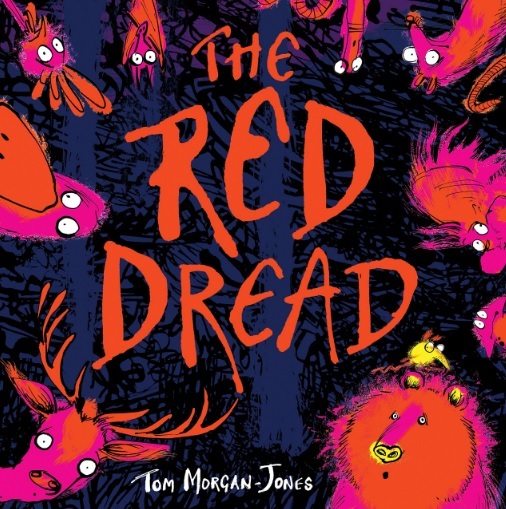 Recently he has also written and illustrated his first book: THE RED DREAD and, of course, we hope it does tremendously well, although we can’t say we really approve of him being allowed on the keyboard. Hands up who would like to see a really cool cover? Well thank you everybody, especially you at the back, smiling and paying attention too! Who would like to see a really cool cover to a really cool new book? Well, isn’t it just your lucky day! So, what’s this all about then? And who is Dalter T Newman? Last question first: Dalter T Newman is a strange composite human being with two hearts, one belonging to composer, songwriter and cardiologist David Alter, and the other belonging to myself – who just happens to be a former researcher into heart function. What are the chances of that then? This story had its origins in a fantastic collection of songs written by David, and performed by an excellent band he put together, dealing with big subjects like religion, humanism and intolerance. Which is when I came in. I had a brief to help develop this into a fully interactive, all singing and dancing (maybe), stage show, which just might make a nod in a satirical, funny Pythonesque direction. This we did, and we’re rather proud of it and looking to find the show – ‘The Resurrection Show’ of course – a fantastic home. If you’re interested in that, do contact us through this blog. In the meantime though ‘The Resurrection Show’ kept growing and practically forced itself to appear in a novel form – literally, in the form of a novel. A novel full of god-bots, prayer clones, singing ecologists, a confused New Puritan, and the resurrected Messiah. Oh and all set in 2099 too! Where will you be reading this Christmas? I have noticed a couple of people asking the very reasonable question: what will you be reading this Christmas? While thinking on this it occurred to me to pose the equally relevant question: where will you be reading this Christmas? 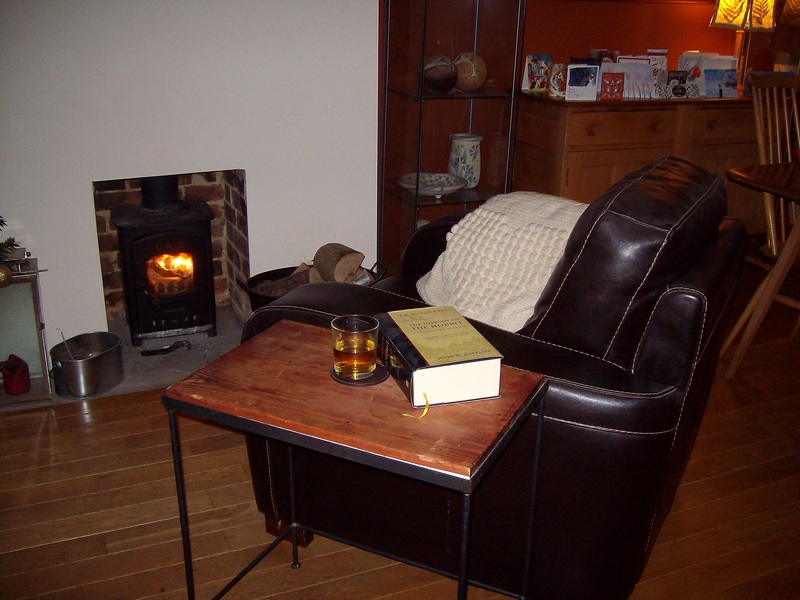 So this is where I will be reading this Christmas. Life is tough sometimes eh? Continue reading Where will you be reading this Christmas? Posted on December 17, 2017 Categories A Writer Gets a Word inLeave a comment on Where will you be reading this Christmas?